When the month that ends in “ber” comes, Filipinos start preparing for the most wonderful time of the year. You can notice Christmas decorations and ornaments adorning the houses as early as September. Christmas songs are around the corner; from radio stations to the malls, jingle bell rocks is playing. As a Filipino, what is your most unforgettable experience? Well, from the many activities and gatherings that the whole month has to offer; surely you got a bunch of merry Christmas experience to tell especially when celebrating it with family and friends in the province. How can any little kid forget when the 16th of December comes? It’s the time of the season where caroling officially starts. Kids as young as four along with their own made instruments like drums made out of cans and tambourines made out of bottle caps join their friends, siblings and classmates going around their vicinity. They sing with all their hearts on every house they pass by and as gratitude from the house owners, they give these children coins or candies as presents. The faces of the children receiving an act of gratitude from every house they have sung a song of Christmas can’t be compared and truly heart melting. Moreover, the gift giving and sharing of joy and love is an unending event during Christmas. On Christmas Eve, after a Eucharistic celebration joined in by the number of devotees of every town in their parish church, a Noche Buena is being served by every family. 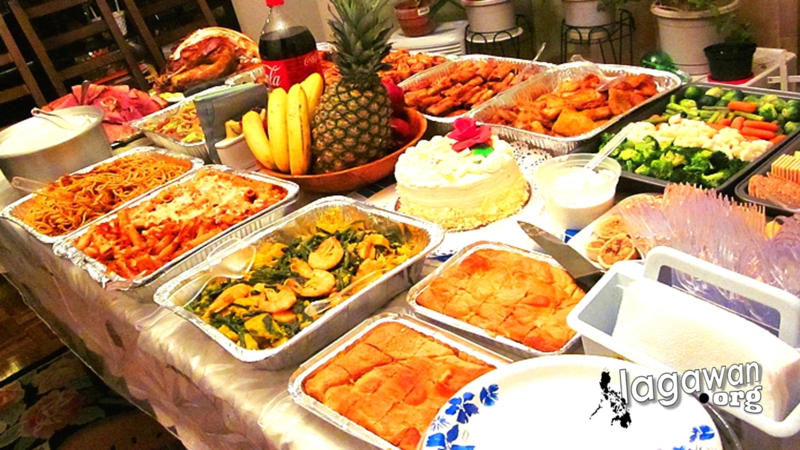 On the 24th of December, Filipinos will be preparing foods for the Noche Buena. There are families who assign each of their members what to do on that particular event. Like who will be assigned for the foods, the program, the purchasing of food ingredients, the cleaning of the house and so on and so forth. These may vary from family to family but what’s clear and evident is the act of togetherness and helpfulness among each Filipino family during the season. Fun games and activities surely await every member right after the Noche Buena.